Diana speaks about her cameo worked fine for me in Europe ! 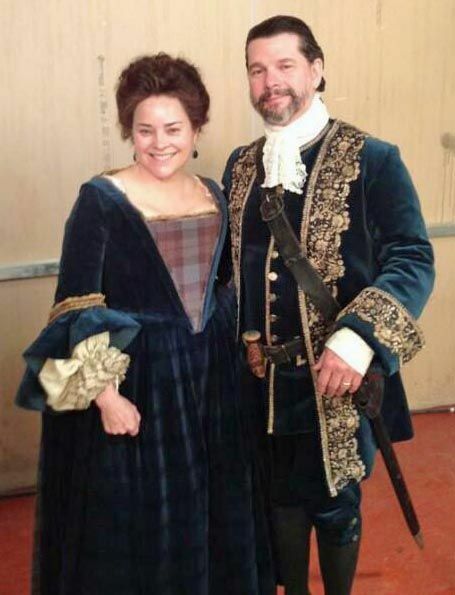 Our Diana and Ron are magnificent in their lovely 18th century outfits ! The more I see of Diana the more I get the sense her own eyes are the inspiration for Jamie's: throughout the books she describes the slanted eyes and the cheekbones of Jamie, Bree etc. I guess that makes the characters truly borne of her! Also, the type of long flowing clothes she likes to wear in real life, really makes her look exotic, almost like a sprite. Does anyone know what type of car is used in episode one?